When Jim Sheridan was a kid, he loved eating frozen custard at a family-owned store in upstate New York. It was a shop that held customers and quality in high regard. (Jim thought it was a big adventure to go there.) Not surprisingly, the childhood memory stuck with him... and today, in his own booming frozen custard business, he makes sure that every to-die-for dessert is packed with fabulous ingredients and a bit of old-fashioned nostalgia. 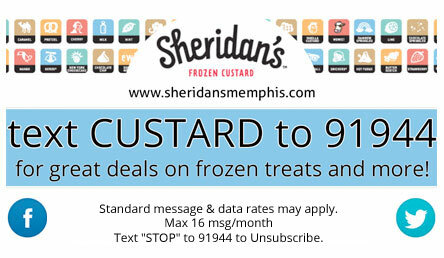 Sheridan's Frozen Custard is a people magnet. Addicted custard-lovers line up for fixes at all hours of the day and evening. The reason Sheridan's kicks out such irresistible creations is clear, Jim spent eight years meticulously researching and planning the details prior to opening his first store. He knew that every aspect of the business would contribute to the end result. Jim, in his own words, is a "purveyor of fine things". True to form, he identified the finest equipment around and secured gleaming Carvel custard machines manufactured in the 50's and 60's. He discovered where to find the most amazing roasted pecans and arranged to have them brought in from a specialized supplier. Whole berries? He's got' em! Fresh frozen fruit? You betcha. Jim even uses the best quality clear plastic cups offered by suppliers. Jim never cuts corners. As he predicted, people are wowed by the final product.